Police are appealing for witnesses to a robbery in Galashiels. A 32-year-old woman was robbed of cash and her mobile phone between 2.30pm and 3pm on Friday, April 28. She was not injured in the incident, however. 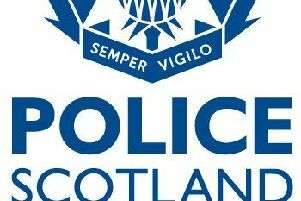 Police constable Steven Irvine, of Galashiels police station said: “Since this incident was reported to us on Tuesday, May 2, we have been conducting a number of inquiries in the Black Path area. No description of the robber has been issued. Potential witnesses are asked to call police on 101, quoting incident number 1076 of May 2, or Crimestoppers on 0800 555111.